You must make reservations at least 5 minutes in advance of the time at Badmaash - Fairfax. 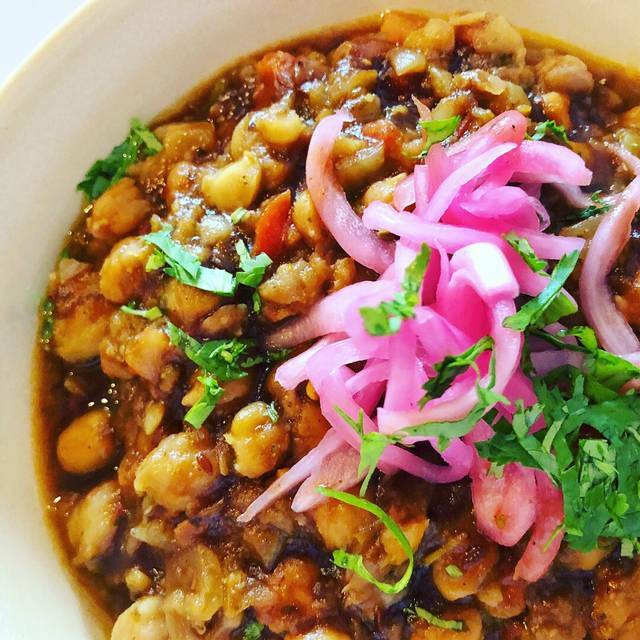 BADMAASH is indian food in LA. They gave us top notch service accompanied by great food. Love Badmaash! Not impressed. Food was very good but we had a reservation and didn’t get seated for a while because the host thought it was 3 of us even though the reservation was for 2 and the 2 of was were standing there. Took a while to grab the attention of waiters each time we had to order or ask for the check. Very loud. The food at Badmaash blows me away, whether the traditional dishes or the fusion options. And I really like their selection of beers and wine. Nothing about what we ate or drank was disappointing. But for some reason, the kitchen was really slow on my last visit and our server didn't offer anything to make up for the 40+ minute wait for the food. We were getting antsy and the server just blamed a large party for the delay, which doesn't make much sense since the restaurant has been packed every time I've been there. Delicious food, best lentils I've ever had! Will definitely go again and again, so glad to find delicious Indian food in the neighborhood. 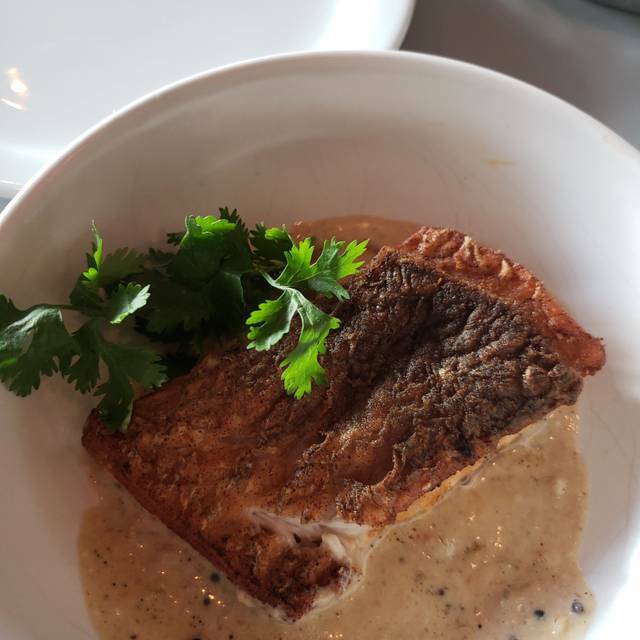 Everything was wonderful-food, service and overall experience. Late evening reservation, music was a little loud. Staff seemed a little disorganized but didn’t adversely impact the dining experience. Food was tasty if a bit overpriced. Food is outstanding. 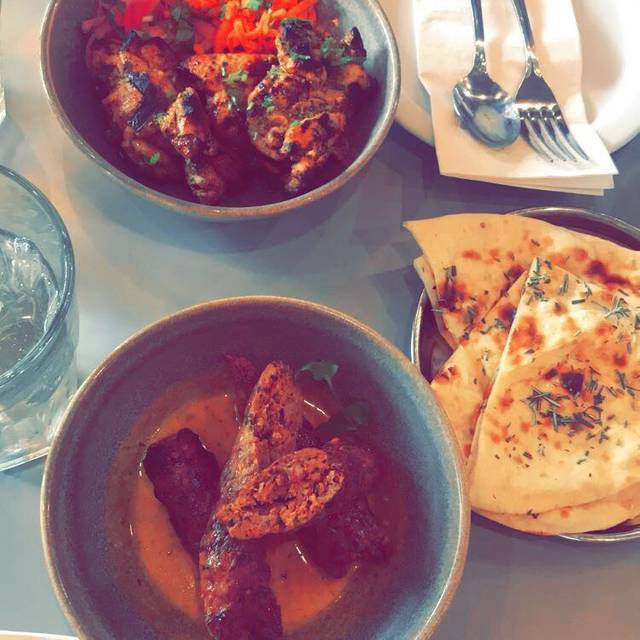 Everything we've tried here has been so so good- lamb sausage, poutine, yogurt appetizer, stuffed naan. 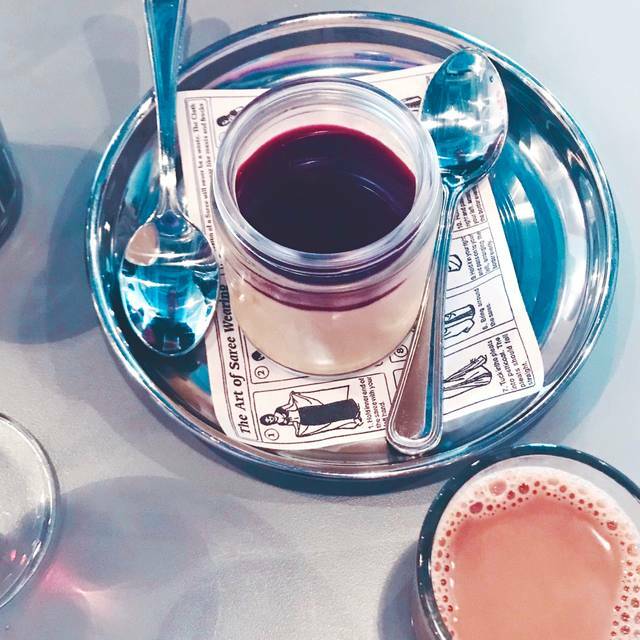 The chai is not to be missed! Delicious. Great lunch specials. Can’t wait to go back! I really wanted to like this place, was just in Goa, Mumbai, Kerala, Tamil Nadu area in January and had high hopes, plus this place is 3 blocks from my house. Off the bat, my reservation for 8:15 wasn't honored until 8:30 because the table wasn't ready. The waiter was too cool, perfecting our pronunciation at words we could barely read on a nearly illegible menu in the dark light. After making our order, the server told us that wasn't enough and tried to get us to order more. PROS: It's near better restaurants on Fairfax. CONS: Expensive, Small Portions, Indifferent Waiter, High Top dining, No Kingfisher beer?! I saw a photograph from a few months ago online with larger portions and for lower prices. They did the opposite here. $120 for 1 entree, 2 sides, 2 glasses of wine and 2 beers! Stay Away. We went kind of early, so the place wasn’t packed and we got a lot of attention from staff. Delicious food! Just wish the servings were a bit more generous. Great service great Americanized Indian food, savory flavors. Definitely recommend it. I love this restaurant!! It's worth going just for the crispy yogurt puffs, the coconut curry mussels and the chili cheese naan. This time we also tried the crispy fish fry...delicious! I love bringing guests who have never been here and listening to their comments on how wonderful everything is. The next time I plan to try the chicken tikka poutine. Oh, I forgot to mention the dessserts are wonderful. We had a wonderful time at Badmaash! Our waiter was knowledgeable and helpful and gave us some great recommendations! We loved the samosas, the beef rib dish, great paneer tikka and very tasty naan. Thank you guys! 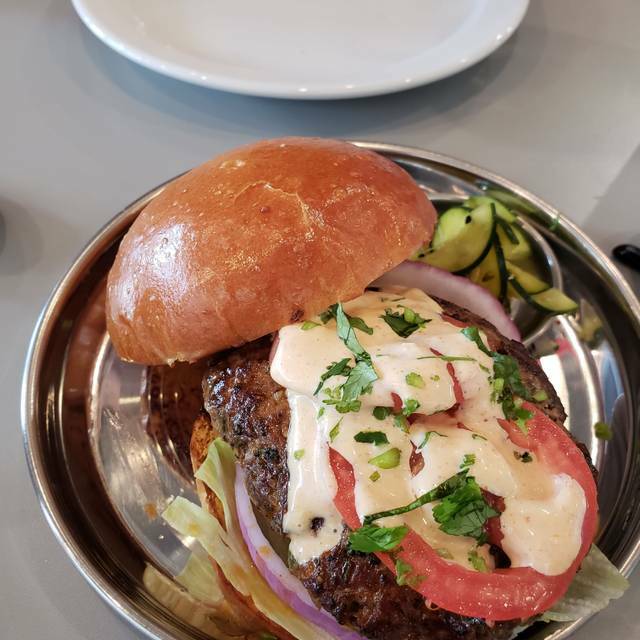 I had dined at Badmaash in DTLA for brunch once before but had immediately made a mental note to bring my mom and her British boyfriend who loves Indian if they ever came to visit. All I can say is that none of us were disappointed with any item we tasted. Our server was helpful and allowed us to taste the wines we were contemplating and he made sure to reiterate the vegetarian options available. We orders the Indian Pickles, a seafood stew special they had, the Paneer Tikka Masala, 2 orders of Jasmine rice, and 2 orders of Rosemary naan. We also ordered a bottle of wine and the chai chocolate dessert. If I had to critique anything the orders of naan were small for a party of 3 and just personal preference, I didn’t LOVE getting the tiny pieces of chai in the smooth chocolate. We came in from Dallas and this was recommended by some foodies. It’s Located in a hip area of LA, parking was a beat down to find...so be ready for that. We had a reservation in the early evening. Upon entering we were seated immediately. Seating was comfortable but a bit tight. We had our 2 kids and they sat in the booth with us. I’m not sure if they have high chairs since our son was squirmy but I bet they do if you ask. I would say it’s kid friendly as long as you get there early. Food was tasty. The rosemary naan has me drooling as did their samosas. The tamarind chutney is a bit sweeter than my mom makes but I licked the plate clean. We went with the butter chicken which was saucy and thick, I would order again. Husband had the beef rib dish and it reminded me of nihari meat. Chai was a bit on the sweet side but you can’t beat the feeling of being in Pakistan and brining chai out on a chai tray. These guys took my home made food from back in the day and brought it into a trendy little hip restaurant that makes me feel at home....I’ll be back again. Amazing service and food! Loved I will recommend this place for sure! lots of gems on the menu. quality of food and flavors is A+. one of my top places in LA for a consistently great meal. Food is excellent and we enjoy the decor. A loud party was next to us making which is why the noise level high but won't stop us. We've been before and will return for sure. Incredible food! A bit pricey and portions look small, but they're very filling. 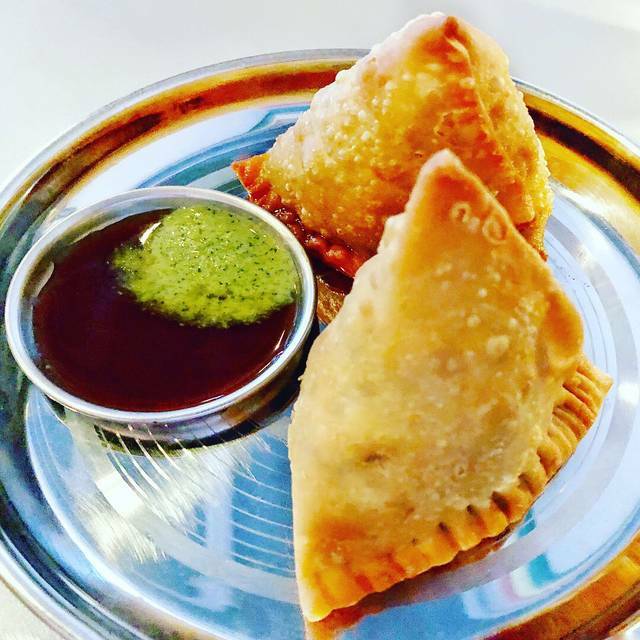 Get the butter chicken samosas!!! Amazing food, great service, nice atmosphere. Would definitely go again! Another great dinner at Badmaash. It smells so good when you walk in the door. All of the food is excellent, highly recommend the mango pork belly! The food was amazing, and the service was great! And we got a ton of food for what we spent! Great food - and great service. So happy to have a good Indian restaurant in the area. Highly recommend it! The food was very tasty but not worth the fifty minute wait. Even with a reservation, our table waited ten minutes before anyone brought water. Our food was incredibly delayed as were several other tables around us. It seemed specific tables received extra attention for VIP clients. Staff occasionally sat to have a glass of wine. They did apologize for the delay and brought complimentary chai at the end of the meal. I recommend waiting until this new location has time to settle or expect to wait. Arrived on time for our reservation. Had to wait 15 mins for our table despite it being ready. Once order placed our food took 40 mins to arrive. Upon arrival lamb chops were luke warm at best. They did not appear to be freshly grilled. An incorrect dish also arrived. We asked for the lamb chops to be re heated or cooked again. Our food finally arrived 55 mins after the initial order. However the naan bread was missing. Took another 5-7 mins for naan bread arrive. At which point our food - which again was not that hot to start, was already half eaten. 2. Bring dishes together, not one by one. It's meant for sharing. 3. Naan bread should be fresh and served alongside dishes. Not halfway through the meal. Waiter never really apologized. It would have been nice to see some acknowledgement and/or a price reduction on our bill. However neither occured. Would not recommend to friends/family. We really enjoyed date night at Badmaash. The chili cheese nan was spectacular and the service was outstanding. 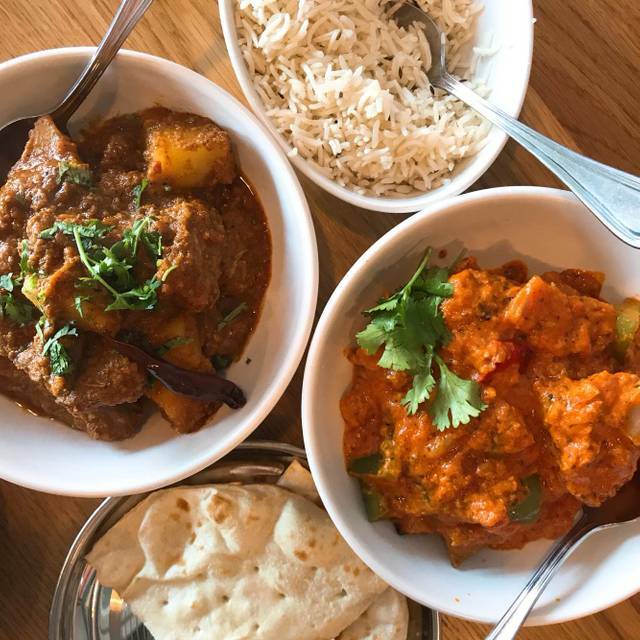 Would recommend for Indian food lovers looking for a little something different! Intimate yet airy and open ambiance, great table service and sumptuous selections to choose from. Enjoyed it very much and will be going back soon. Please do not come here if you want Indian food. Do not let the Hindi writing on the walls or the Hindi written our front fool you. This place is for people who don’t know what Indian food is supposed to taste like. Come here if you want a very western interpretation of South Asian food. I myself am not South Asian. However, my boyfriend is and I’ve been studying the process of how to make it Desi food for a little over a year—with help from his mother. There are specific types of spices you’re supposed to use and there is a certain way the food should taste. This place falls flat on that. The Chicken Tikka Masala is meant to be HOT—hence why it has the word TIKKA in it, meaning spicy. But of course, the cooks at this place don’t know a damn thing because my meal was HARDLY as spicy as it should’ve been. The butter chicken had ZERO spice. That’s unacceptable. The raita was so bad, too. The only thing I enjoyed was the chicken poutine masala and the vegetable sombosas. That’s sad when the starters are the best part. Lastly, let’s talk about the stupidly high prices. For food that’s THIS mediocre, the price needs to be altered. There are so many desi restaurants that give you far more food for your money. Far more BETTER tasting food for waaaay less money. 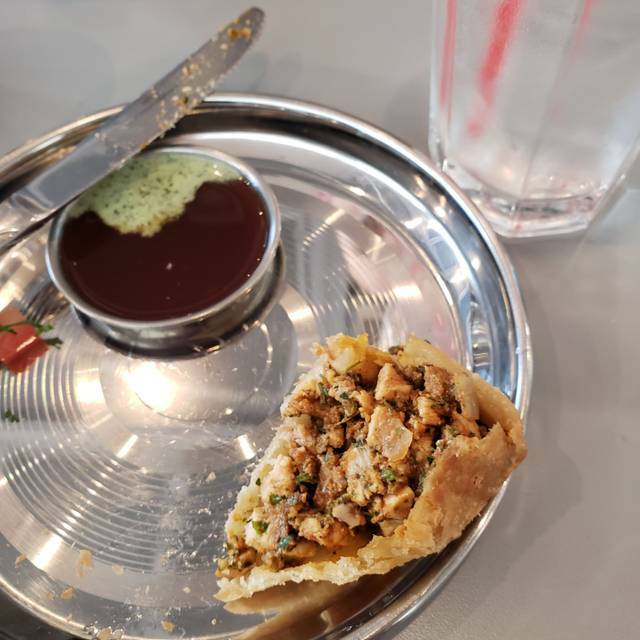 I could make this review far longer by complaining about the fact there were zero desi workers there and how the jazz music that played when I walked in signaled to me instantly that this wouldn’t be authentic food, but I’m just going to leave at this point. It’s only this expensive because they’re so close to Supreme and get lots of foot traffic from that. I didn't actually like Indian food, I just brought my husband for Valentines Day because HE loves it. Badmaash has converted me! I'll be back! They made us wait a long time to get us seated. The music was so loud that it was hard to have a conversation. We requested the server to lower it but she said she wasn't allowed. The Samosas were yummy but the Naan could have been hotter and crispy. Great Indian food. A tad overpriced good service very noisy. Poor service. We had a reservation but still had to wait 30 minutes for our table. Then, once we were seated the service was still bad and our waiter continually rushed us.